Self calibration of internal offset and gain per each conversion. The user can select the PGA gain before the analog-to-digital conversion takes place. 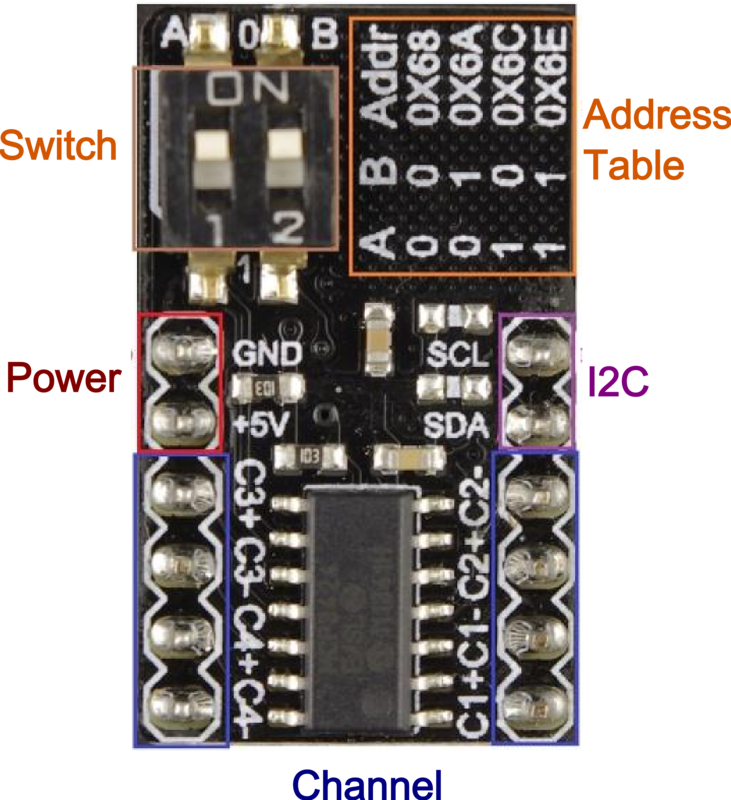 This allows the device to convert a very weak input signal with high resolution. One-Shot mode: the device performs a single conversion and enters a low current standby mode automatically until it receives another conversion command. Continuous mode: the conversion takes place continuously at the set conversion speed. 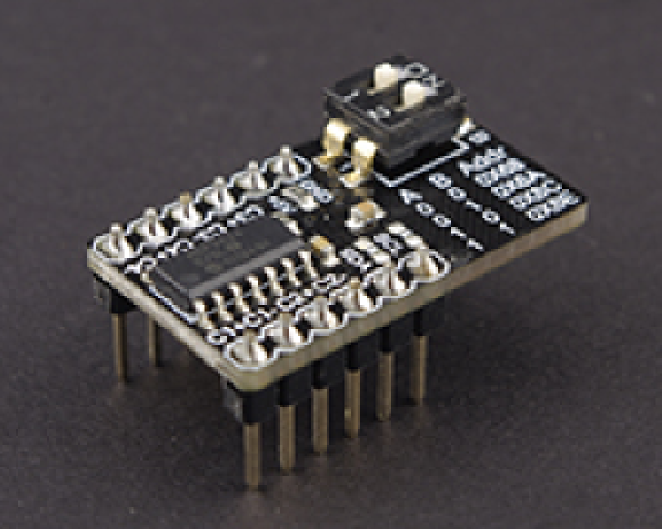 Download and install the Arduino MCP3424 library. Adjust voltage of Regulated Power to 0-2.085V, and then power on. In this example, one conversion per second is performed on channel 1 and 16 bits resolution. Open Ardino serial monitor, the voltage will be displayed. 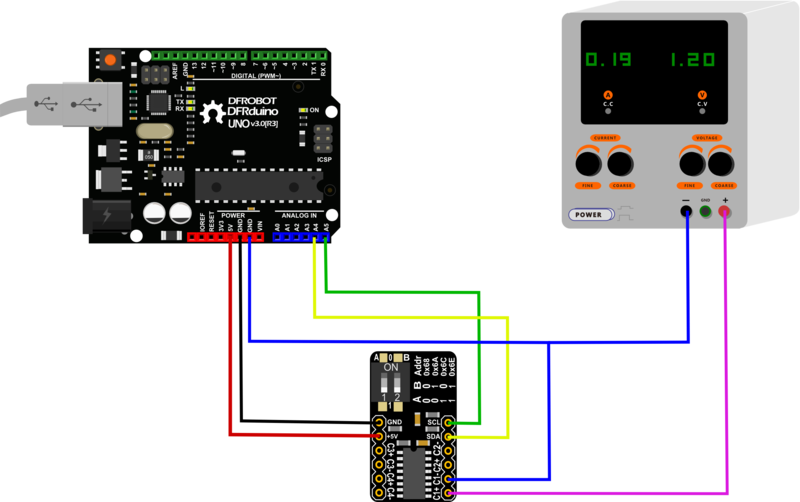 Connected Diagram: refer to the previous tutorial, connect I2C and power in the GPIO of RPi to the MCP3424 module. Step by step: refer to the "Readme" of the Driver. Get MCP3424 18-Bit ADC-4 Channel with Programmable Gain Amplifier for Raspberry Pi from DFRobot Store or DFRobot Distributor.